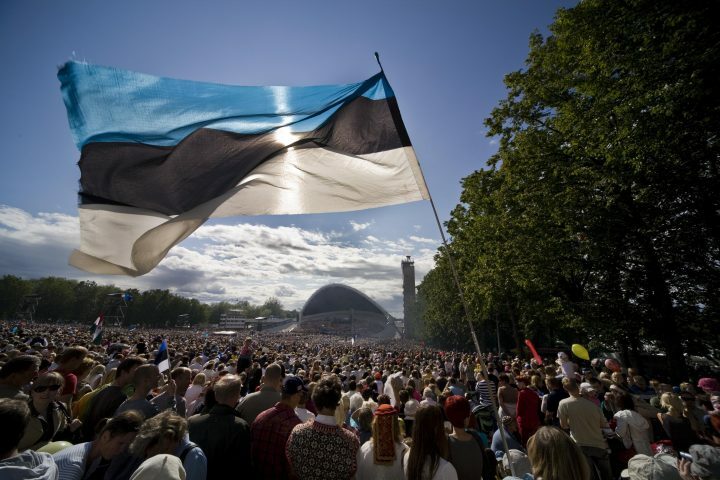 Estonia-India relations are most significant in the cultural sector, compared to other sectors. E. Eckhold was probably the first person of Estonian origin to visit India, arriving on its shores at the end of the 17th century. Reliable information indicates that the renowned seafarer A. J. von Krusenstern was in Madras and Calcutta in 1797. The “Pühhapäiwa Wahhe-luggemissed” (“Sunday Intermediary Readings”) of Otto W. Masing (1818) was the first written work in Estonian to touch upon India. At the University of Tartu several publications on the Sanskrit language and literature were published. In 1837, the teaching of Sanskrit began at the University of Tartu. In the middle of the 19th century, the first missionaries went to India from Estonia: A. Nerling (1861-1872) and J. Hesse (1869-1873). Later, several others followed. Through the missionaries much information about India reached Estonia, and several articles and books were published. These were mainly connected with the evangelic missionary work in India, but also described the caste system, religions, yoga teachings, and Indian classical literature. Writer Andres Saal made a significant contribution by publishing longer articles about the Indian epic “Mahabharata”, drama and folk wisdom in “Olevik” (“The Present”) in 1912. Cultural relations between the two states continue to be very good and diverse. India offers several scholarships through the Indian Technical and Economic Co-operation programme (ITEC), about which you can get more information from the Ministry of Education and Research. Estonians have shown great interest toward this programme – over 25 Estonians participate in the programme every year. During the last decade, India has given some generous gifts to the Estonian Humanitarian Institute, the National Library, and the Oriental Studies Centre at the University of Tartu, sharing books that introduce India’s history and culture. Sanskrit has been taught at the University of Tartu and in the Estonian Humanitarian Institute at the Tallinn University. Tallinn University also teaches Hindi, Indian culture, philosophy and history. Estonian films have participated in film festivals in India. The Eastern music festival organised by Peeter Vähi “Orient”, where Indian music has been performed, has become an Estonian tradition. Indian music and dance has also been introduced during Jazzkaar. Many notable musicians have been able to come perform in Estonia thanks to the Indian Cultural Association of Estonia (ICAE), which was established in 2003 and began active operations in 2004. The ICAE aspires to the beautiful words of Mahatma Gandhi: “I do not want my house to be walled in on all sides and my windows to be closed, instead I want the cultures of all lands to be blown about my house as freely as possible.” The President of the ICAE is the Honorary Consul General of India in Estonia K.S. Tripathi. On 3 March 2012 the Hindi-language translation of the Estonian epic poem “Kalevipoeg”, “Kalevputra” was unveiled during a book fair in New Delhi. Chairman of the Riigikogu Foreign Affairs Committee Mr. Marko Mihkelson was in attendance. It was a significant event that opened the world of Estonian literature to Hindi-speaking audiences. On 17 May 2012 “Kalevputra” was presented to the President of the Republic of India.